On the most recent ThisisTheXFL Show podcast. Football reporter Benjamin Allbright was interviewed about breaking the Bob Stoops story. In the interview, Allbright goes in detail about the XFL’s criteria for their Head Coach/GM hires. Allbright doesn’t confirm it but mentions that Former NFL Head Coach Jim Haslett is a possibility. 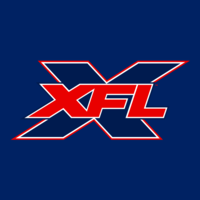 We discussed this here on the board last week and mentioned Haslett, after Oliver Luck on Houston Radio with Sean Salisbury, said that “former NFL head coaches have left assistant jobs to join the XFL. Oliver’s other two hints of major college program head coach and a former coordinator, who has never been a head coach, both turned out to be true with Bob Stoops and Pep Hamilton. Haslett fits the criteria of “former nfl head coaches”. That’s plural, so there’s probably a few more coming on board. Haslett has experience in alternate leagues. He was a Head Coach/GM with Florida in The UFL. Could that mean Tampa for him? Albright has become a very trustworthy source for XFL news ever since his Bob Stoops report came true. I wouldn't be surprised at all if he is right about Haslett. Were there any more Steve Mariucci rumors or was it just that one cryptic Snapchat post by the XFL? Given the league it just starting out, a guy like Haslett is fine, but still pretty boring. Hamilton is more of the mold of coaches we should be targeting. Agreed. Like the Hamilton hiring more despite the lack of popularity among Michigan and Colts fans.